In the fast changing world of digital photography equipment there has been one product that has stood the test of time (with a few revisions for camera compatibility). The INON Z-240. 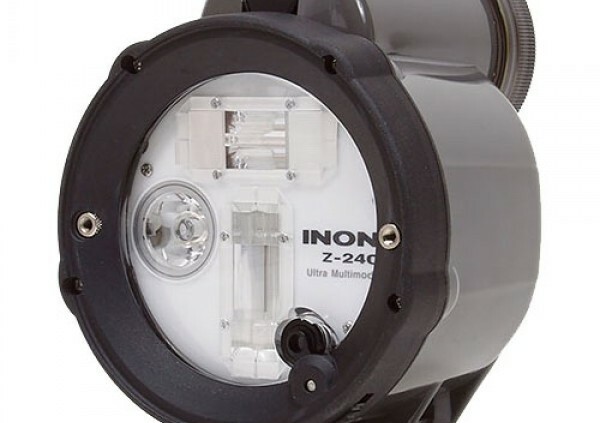 The Z-240 is INON’s flagship strobe and has become one of the top choice in strobes for many underwater photo pros and enthusiasts since it’s release. The big attraction to this strobe is not one feature but many that are stuffed into compact travel friendly sized housing. 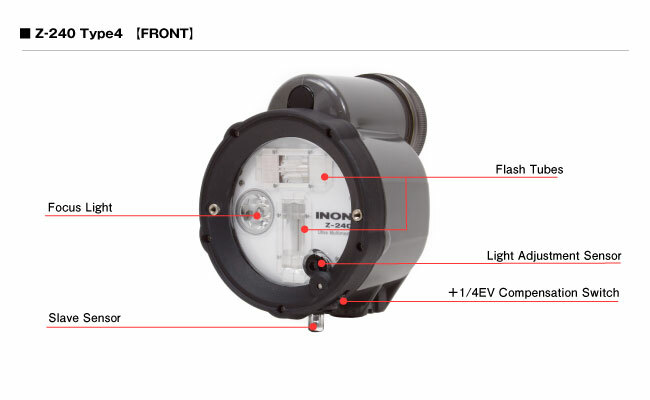 INON has been able to do what other manufacturers have not and that is place high power clean light (guide number 24), S-TTL (optically slaved TTL), 100 degree circular beam (110 degree beam with diffuser), fast recycle time of 1.6 seconds at full power, multiple mode options, wireless TTL, and more into a robust strobe housing suitable for even tech divers with a 100m depth rating. These features have had the competition chasing INON’s technology for quite some time. 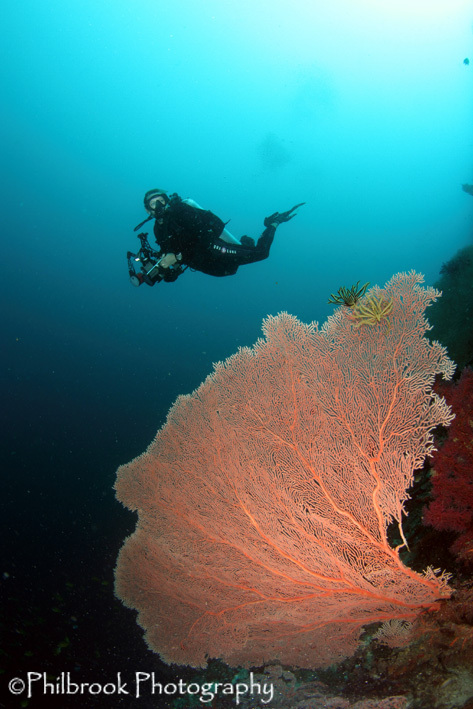 Only Sea & Sea with their most recent release of the YS-D1 strobe has come close to achieving such success in a optical TTL strobe. 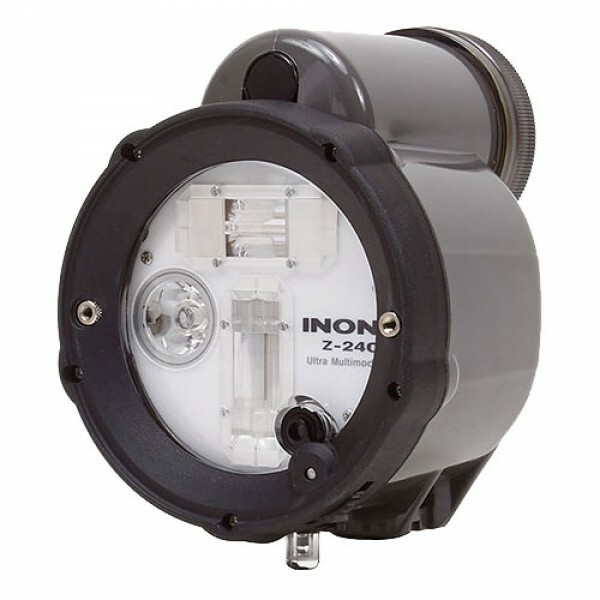 The Z-240 (as well as every strobe in INON’s lineup) uses four AA batteries in a uniquely designed battery compartment. The battery compartment is sealed from the strobe’s inner circuit. There is a one way check valve on the front of the battery compartment that will off gas expanding pressure batteries emit if the compartment gets flooded. This only buys you time though and the diver should abort the dive and discard the batteries or remove the batteries underwater to avoid a damaging the strobe beyond repair. The battery simply needs to be rinsed and dried out, clean the contacts with alcohol, and you’re ready to go again! 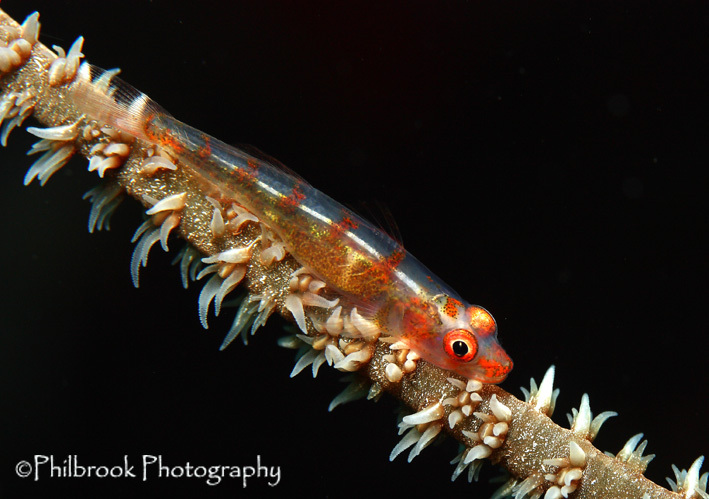 The Z-240 works well for all types of underwater photography from macro to portrait to wide angle. It utilizes a twin flash tubes in a “T” configuration. By doing this the Z-240 emits a circular beam minimizing strobe fall off compared to a other traditional single flash tube strobes. My wife and I have used these strobes in many different situations and the Z-240 has always delivered. It also has a 180 lumen focus light that emits a 20 degree beam. 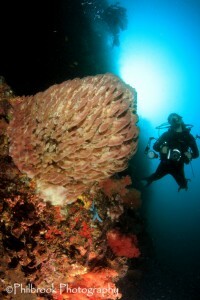 I find this useful for adding light to achieve focus lock when shooting into dark coral crevices and similar situations however, it is not a video light. Here is a macro shot using a Canon 60mm lens @ f/8, 1/125, ISO 200, plus an INON UCL-165M67 Close-up lens and two INON Z-240 strobes. Here is a portrait of two french angel fish taken with an Olympus 14-42mm lens @ f/9, 1/125, ISO 200 and single INON Z-240 strobe. Here is a wide angle shot taken using a Tokina 10-17mm fisheye lens @ f/8, 1/160, ISO 320, and two INON Z-240 strobes. 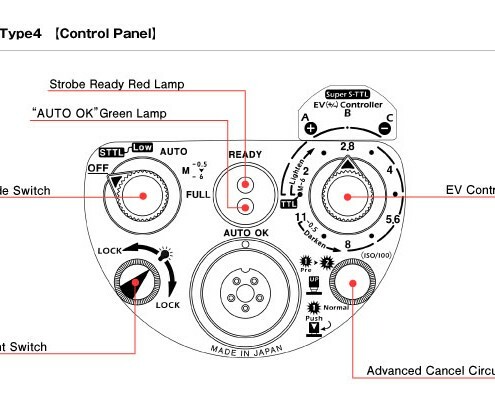 The Z-240’s 13 step EV controller is extremely useful for dialing in the desired precise lighting. One minor drawback of the Z-240 is when shooting strobe-filled sunball images during mid afternoon, at full power the strobe can be a stop or so under-powered. 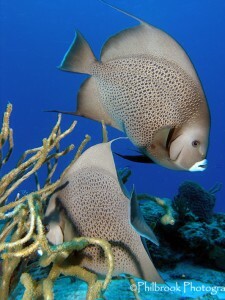 Shooting these images earlier in the morning or later in the afternoon tends to eliminate the issue. 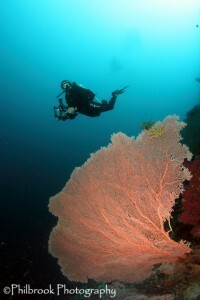 This image was shot with a Tokina 10-17mm fisheye lens at 10:00am @ f/13, 1/250, ISO 500. Also, some photographers prefer a warmer color temperature than INON’s neutral color temp of 5500K for wide angle photography. However, there is a solution! INON now has 4600K and 4900K color diffusers available for their entire strobe line. The other negative we hear from time to time is that the Z-240 can be confusing. This can be true (as in all photo equipment) if you do not take the time to learn the strobe, its configurations, and how to use each mode properly. However, once you’ve done that, vwahla, you have a very powerful, versatile strobe! It is highly recommended that you purchase your gear from a reputable dealer, such as Aquaventure Dive & Photo Center, who is willing and able to provide you with lifetime customer service and product education. Establishing that relationship will help eliminate confusion. 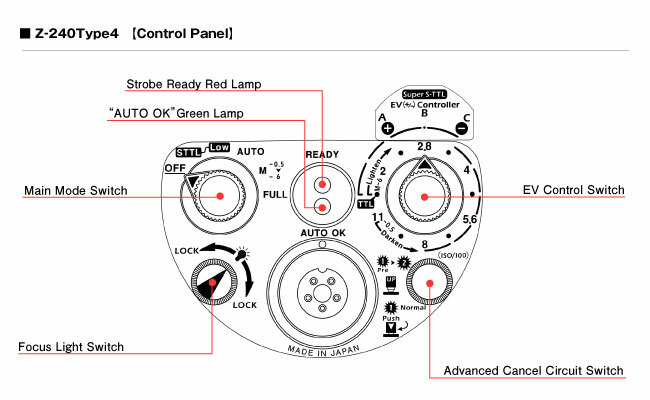 Looking at the back of the strobe we have the Main Mode Switch, Ready Light, EV Controller, Focus Light Switch, Electrical Bulkhead, and the Advance Cancel Circuit Switch or Pre-flash Switch. Main Mode Switch – The main mode switch allows you to select which mode you want to shoot in. S-TTL is compatible via optical connection ONLY. It slaves the Z-240 with your camera’s on board flash (if your camera does not have a pre-flash S-TTL mode will not be compatible but AUTO mode is compatible for auto exposure). The EV controller allows you to tweek the strobe’s output for desired exposure. LOW is S-TTL mode but can be selected if your images are being a bit overexposed. This setting does not allow the Z-240 to acheive a full dump. AUTO is another auto exposure mode that differs from S-TTL. When using this mode the photographer needs to set the f/stop on the camera then match it by selecting the same f/stop on the EV Controller. The sensor on the face of the Z-240 senses the reflecting light. The strobe then set the exposing flash. On the face of the strobe there is a ring that can be placed over the sensor. When this is done, the strobe’s output will be increased by 1/4 stop of it’s selected value. There is a total of 24 steps available in this mode. M (manual mode) This mode allows the shooter to adjust the strobe’s output manually. There are 13 steps in 1/2 EV increments that allow for precision lighting. FULL When FULL is selected the strobe will emit a full powered dump thus overriding any setting on the EV Controller. Ready/TTL Light – The red light lets you know the strobe is ready to fire. The green light lets you know TTL have been acheived. EV Controller – Allows the shooter to adjust the output of the strobe in all modes except FULL mode. Focus Light Switch – When pushing this switch in, the focus light will turn on for 8 seconds. When the switch is pushed and turned to lock, the focus light will stay on continuously and shut off in sync with the camera’s shutter. Advance Cancel Circuit Switch – This switch is used to configure or sync the strobe with your camera. When using the optical connection and your camera’s flash has a pre-flash, the switch MUST BE IN THE OUT POSITION! If your camera does not have a pre-flash or you are using the electrical connector, the switch MUST BE PUSHED IN! 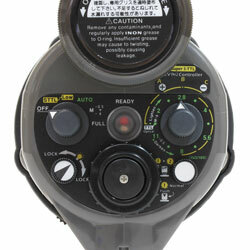 Electrical Bulkhead – Allows the Z-240 to be connected via a variety of electrical cables. It is a standard Sea & Sea connector. TTL or S-TTL is NOT compatible with the electrical connection unless a TTL converter (Sea & Sea, Heinrichs & Weikamp) is used.